An image constructed of parallel and multidirectional fine lines or raster units. The pattern parameters (direction, width of strokes and the distance among them) impedes reproduction of the images by copying equipment which can be seen as moire or a darker (lighter) text compared with the background (fig. 1, fig. 2). Fig. 1. Offset with rainbow printing. 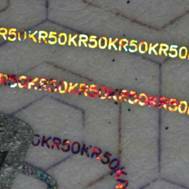 An ink, containing crystals of rare-earth metals, which glows when exposed to IR light of high intensity. When viewed in such spectrum, the surface of the image looks like a brightly glowing printed area or dots (fig. 1). Fig. 1. Anti-Stokes fluorescence. 5 000 Russian Rubles (1997). A regular or irregular background drawing executed by thin continuous, often intertwining lines with observance of a number of rules (lines have no gaps, thickenings in points of intersection and so forth) (fig. 1). It is a variety of guilloches. A sequence of parallel lines (bars) which vary in their widths and spaces between them and store data readable by special devices. A bar-code is usually printed by letterpress; its ink may contain additional security properties (e. g. magnetic pigments) (fig. 1). 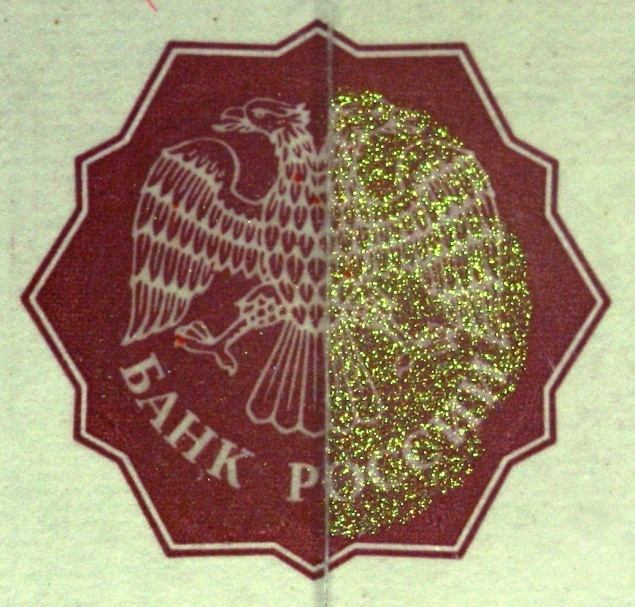 A colourless relief image applied on a coloured or unstamped area of the banknote by pressure or heating which deform the substrate. 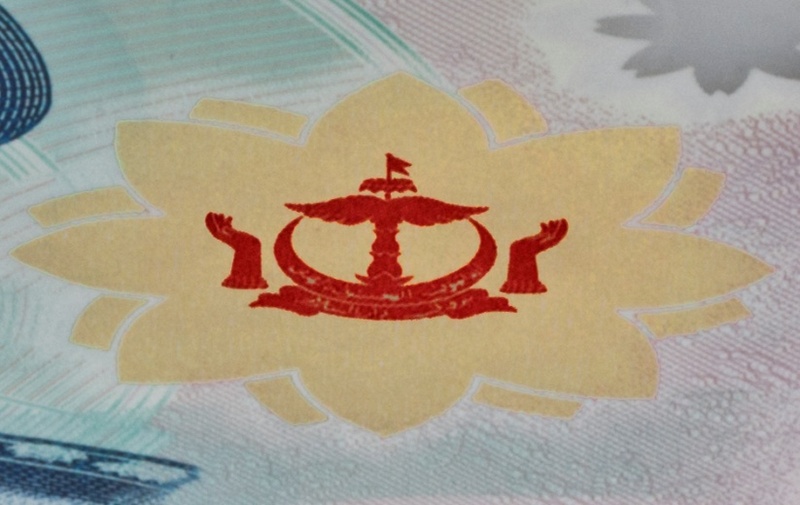 It is a palpable image used both in paper and polymer banknotes (fig. 1); is visible under oblique light. 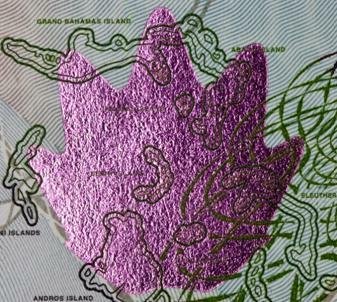 A coloured image gradually transforming into blind embossing is a more intricate security feature (fig. 2). Fig. 1. Blind embossing on the clear window. 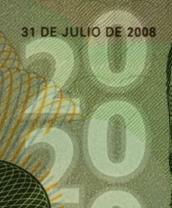 20 Mexican Pesos F series (2006). Fig. 2. 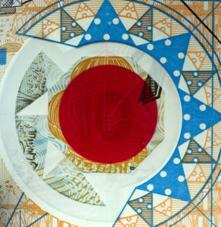 Coloured image gradually transforming into blind embossing. 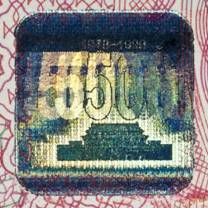 A transparent area of the polymer banknote created during the manufacturing process of the substrate, not covered with any coatings. 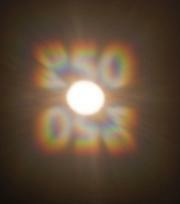 An optically variable feature formed by a coating with the effect of polarization. A colour shift is observed, while rotating the image in its own plane by 90° (fig. 1). An optically variable device that appears in a transparent window and is only visible in transmitted light with the assistance of a distant point light source. The transparent window is transformed into an image (usually a banknote denomination) via light diffraction. This device is unique for its ability to be seen best at night or against dim light (fig. 1). a – view under reflected light ; b – view in transmitted light. 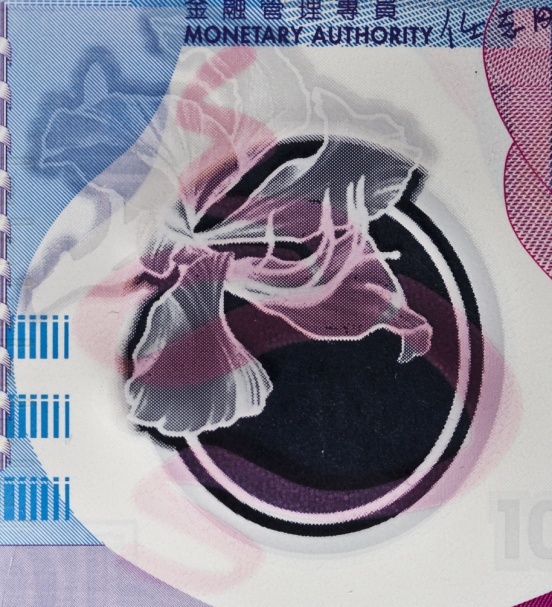 A security feature of the banknotes on the polymer substrate in the form of an image which changes its colour, when changing the angle of view. The effect is achieved due to the “multilayer” structure of the coating and may be seen, when changing the angle of view (fig. 11). 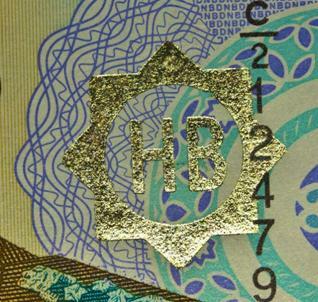 It is similar to OVI for the banknotes on the paper basis. 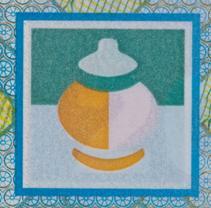 A relief and (or) a coloured image produced by stamping a metallized film or foil to the surface of the banknote. Due to high pressure, parts of the foil get into the paper making its mechanical separation practically impossible. 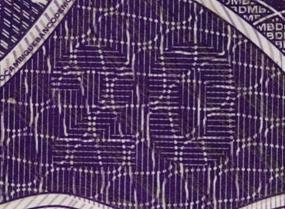 If diffraction foil is used, the image may change colour when the banknote is tilted (fig. 1). A printing technique from a plate, where printing elements are incised into the surface and consist of very small cells separated by thin dividers (raster cells) regardless of the type of the image (a text or an illustration). These dividers and other spacing elements rise and lie on the same level. The printing plate is made on the cylinder. During the printing process, first of all a low-viscosity ink is applied in plenty over the whole surface of the rotating plate. Then a special knife (scraper), sliding along the plate surface, removes totally the ink from the spacing elements and its excess from the printing elements. The ink is transferred under contact pressure from the printing elements to the substrate. Fig. 1. Fragment printed by gravure printing. notched edges of the image (fig. 2, b). Fig. 2. 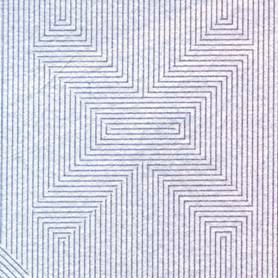 Zoomed fragment printed by gravure printing. 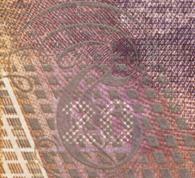 Gravure printing is used in the manufacturing process of the banknotes on the polymer substrate. An intricate geometrical pattern formed by superposition of several relatively simple fine curved lines, constructed according to certain mathematical laws. A similar guilloche cannot be constructed without these mathematical laws. 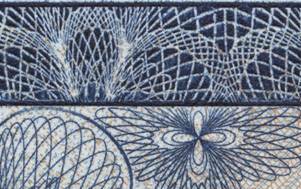 Guilloche designs form rosettes, frames, borders, vignettes and other images, as well as the elements of background patterns. A pattern can consist of either negative or positive lines (fig. 1). Fig. 1. Negative and positive guilloches. 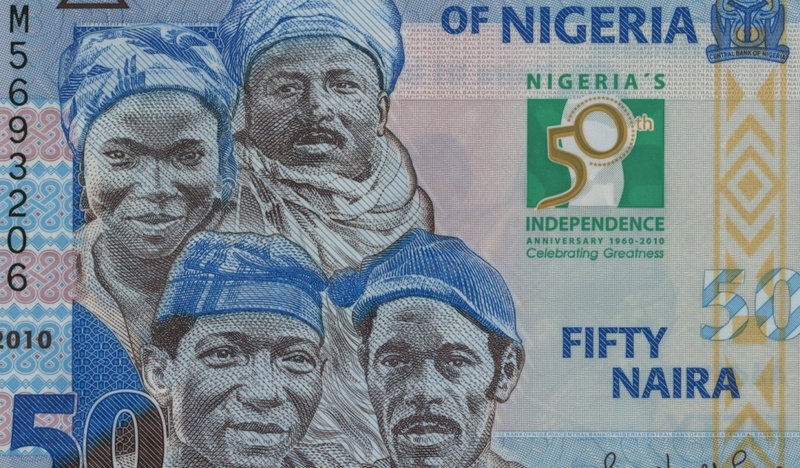 A variety of a clear window, with one side of the banknote opacified. It is created during the manufacturing process of the polymer substrate. The resulting effect is a glossy surface on one side, while the other side becomes a normal printing surface (fig. 1). 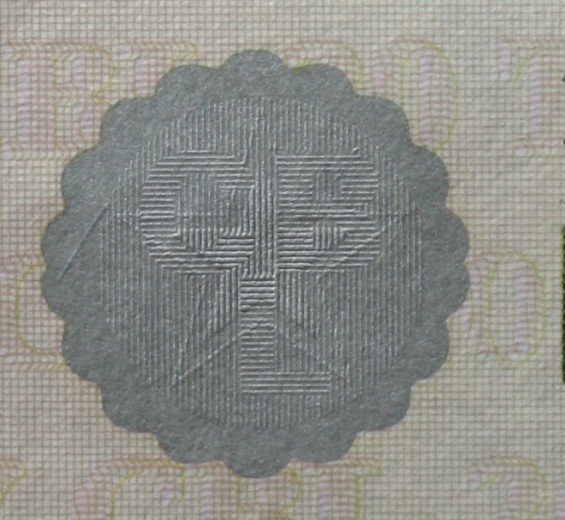 An image made by colorless embossing over a printed area on the banknote. 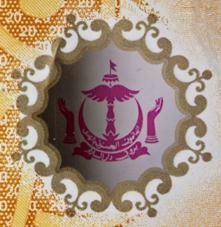 When the banknote is tilted, the image appears on the one-coloured area of the banknote. Each character of the image has its own colour. 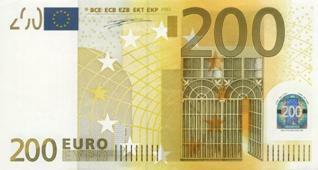 When the banknote is rotated without changing the angle of view, each character changes its colour (fig. 1). 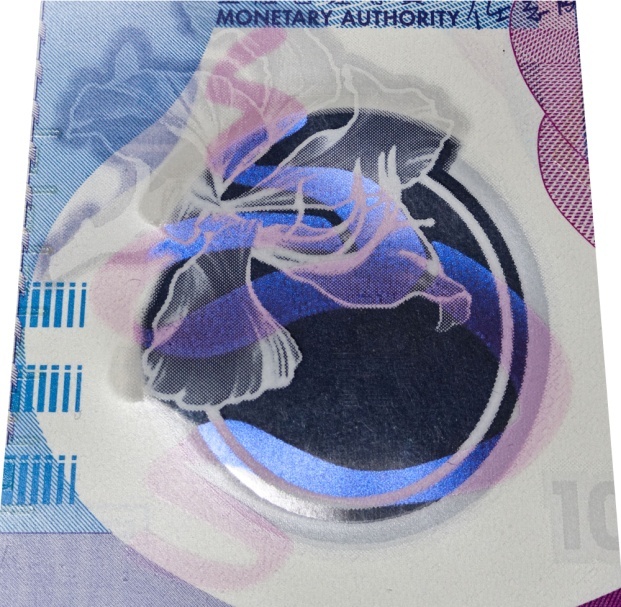 When the banknote is tilted under UV light, the image may appear on the one-coloured area of the banknote. Each character of the value numeral has its own colour. 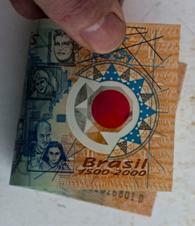 When the banknote is rotated without changing the angle of view, each character changes its colour (fig. 2). A diffractive optically variable device. The holographic image is formed by diffraction and refraction of light on gratings and changes at different angles of illumination and observation (fig. 1–6). Fig. 1. Effect of image movement: the digital symbol of the nominal is moving in the horizontal direction. Fig. 4. Pseudovolume effect. The bird seems to move behind the portrait. A printing technique from a plate, where printing elements are incised into the surface. Spacing elements are above the printing ones. A viscous ink fills in the recessed areas of the printing plate and is transferred to the substrate under high pressure (80–100 kg/cm2). The pressure forces the substrate into the recessed areas. 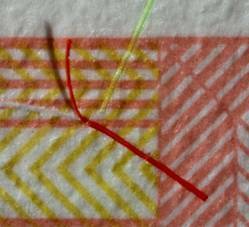 ink creeping between paper fibers at strokes edges (fig. 1). 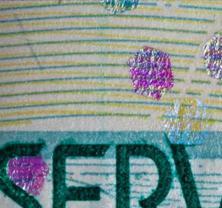 Polymer banknotes may not have ink creeping. 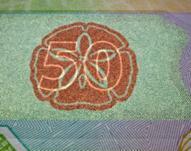 An image printed with special inks by intaglio over the metal coated area of the polymer banknote. 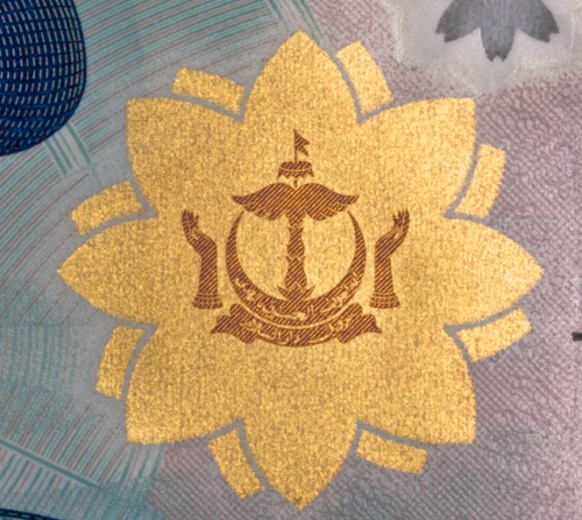 The element has an optically variable colour effect: the colours of the image become more contrasting when looking at the banknote at a very sharp angle (fig. 1). 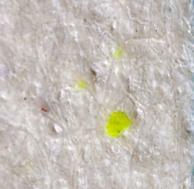 An ink, containing fluorescent substances (pigments) which glow white when exposed to visible infrared (green) light (wavelength is 400–530 nm). It may be coloured of coloureless. The pigments are not visible under normal daylight; can be detected by special devices (fig. 1). Fig. 1. 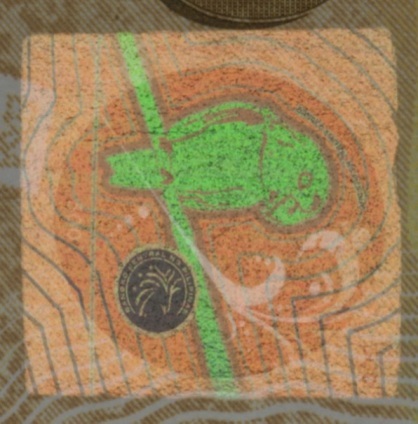 IR fluorescence of images, banknote denominations and security fibers. 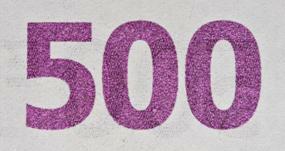 5 000 Serbian Dinars (2010). Inks, which possess similar spectral properties under usual white illumination (look like of the same colour) and have differences in infrared spectrum (wavelength of 870 nm). Some inks are IR-absorbing and others are IR-reflecting. 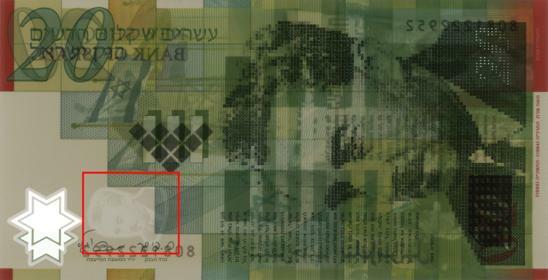 As a result, when examining the banknotes using special devices, only IR-visible images can be seen in the device monitor (fig. 1). Infrared protection is based on the property of the material (pigments) to absorb or to reflect IR light. 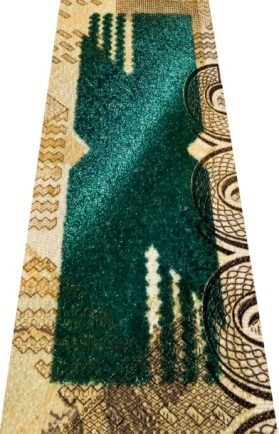 A semi-transparent ink with a nacreous glitter (fig. 1, a). 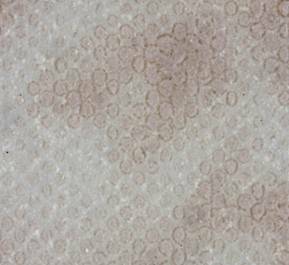 It contains transparent pigments consisting of tiny mica scales covered with a thin film (fig. 1, b). The pigments cause interference of incident light and produces the colour changing effect, when changing the angle of view or entrance. The iridescent element is not seen at right angles. 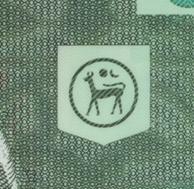 A complex security feature developed by De La Rue Company. 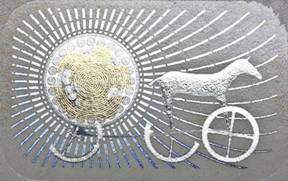 It is an image printed on a foil substrate. 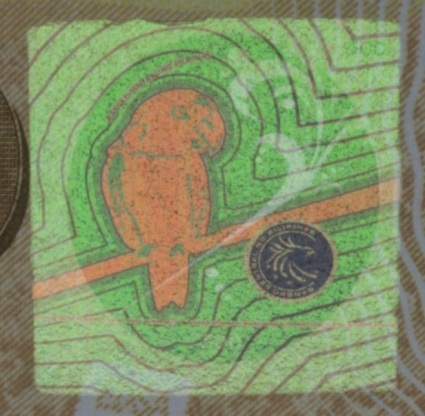 The high relief image is applied by intaglio. 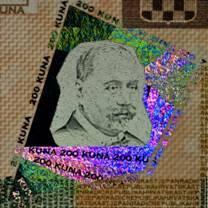 The kaleidoscopic effect appears in the image when the banknote is rotated clockwise (anti-clockwise). This effect is characterized by illusory motion of alternating light and dark geometric figures from the center to the periphery. The distribution of light and dark areas in the image is determined by the shape of the strokes, ink relief and illumination. An image formed by the parallel lines printed at an angle to the lines of the background. Usually printed by offset. The printing technique and colours of the image and the background are integral and the image in indistinguishable by the naked eye (fig. 1). Visible with magnifying devices as an alphabet character, a numeral or a geometrical figure (fig. 1). Fig. 1. Latent image 20 Mozambique Meticais (2011). See also latent image MASK, latent image PEAK, latent image KIPP, latent scrambled image. An image formed by the lines printed by intaglio perpendicularly to the lines of the background. 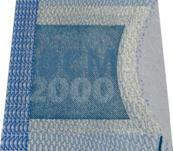 When the banknote is viewed at an acute angle, the image becomes visible on the background. It becomes either light on a dark background or dark on a light background. The lines parallel to the direction of eyes look light, and the perpendicular lines look dark. Therefore, the tone of the background and the image change, when the bill is rotated without changing the angle of view (fig. 1). 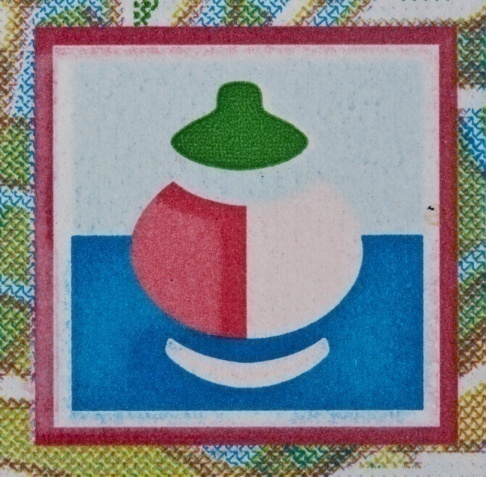 An element consisting of two images made by different printing methods with the same colour. The first (bottom) image is printed by offset, the second image is printed by intaglio over the first one. The top image can be observed under reflected light, the lower image becomes visible in transmitted light (fig. 1). 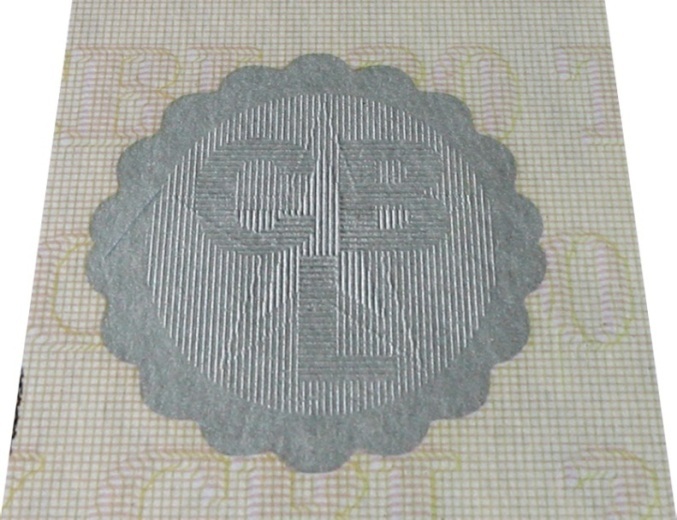 An image made by colorless embossing over a printed area on the banknote. The result is an optically variable element which is palpable. The latent image becomes visible under oblique light (fig. 1). 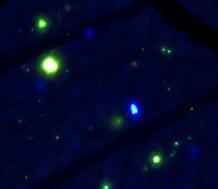 The latent image and iridescent covering become visible under oblique light (fig. 1). 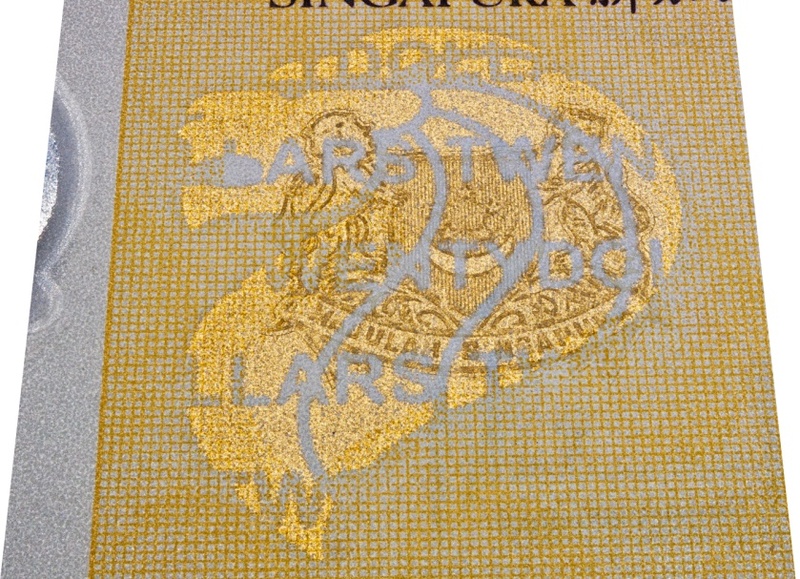 A latent image made by blind embossing on a substrate printed with raster dots (pixels). It is viewed in oblique light at an acute angle. Embossed hemispherical elements are made in such a way that they have pixels of different colours on their opposite side surfaces. Depending on illumination direction, one of the two colours becomes bright and intense.  This colour determines the overall hue of the image. As a result, the raster substrate and embossed structure interact with each other to produce the KIPP-effect with a colour shift. An image formed by differences in the patterns of the element and the background. 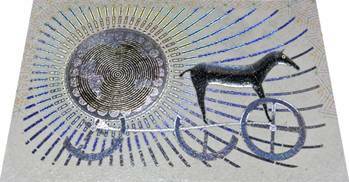 The encoding process can combine multiple images and make them look as one. The images become clear only when viewed through a specially manufactured decoder lens (fig. 1, b). 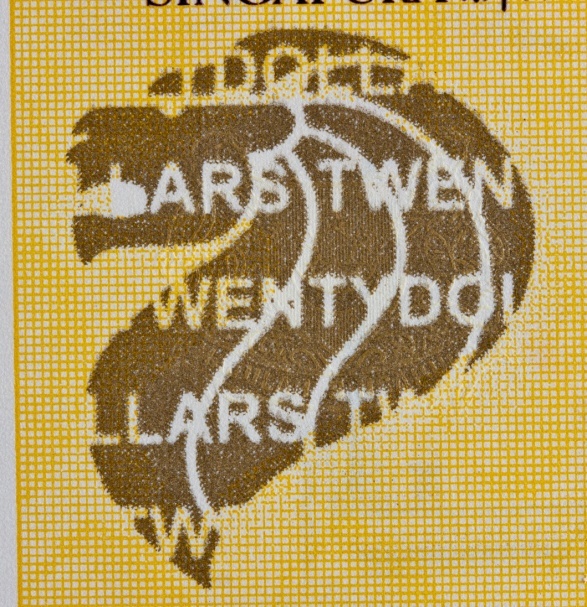 A printing technique, in which the ink is printed on the substrate from a printing plate with printing elements raised above spacing elements. substrate deformation (protuberance on the back side of the print (fig. 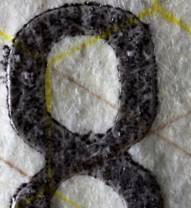 1, b); inward bulging on the front side of the print). Letterpress printing is often used for printing serial numbers and bar-codes on the banknotes. A printing technique, in which printing and spacing elements are located almost in the same plane. The inks are transferred to the substrate directly from the printing plate. Printing and spacing elements are separated due to different physicochemical properties: the printing element of the plate takes the form of the ink but repels water, while spacing elements receive water, get moistened and repel water (fig. 1). slightly blurred contours, thin strokes are broken. Fig. 1. 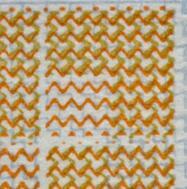 Zoomed fragment of the background pattern printed by lithography. An ink containing ferromagnetic components, which have a specific reaction to the external magnetic field. The components can be added to the ink of any colour or colourless varnishes. 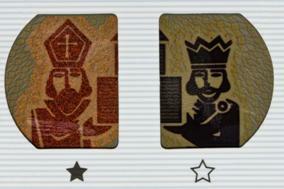 The texts or images printed by the ink can be identified by special magnetic sensors or visualized by special devices. 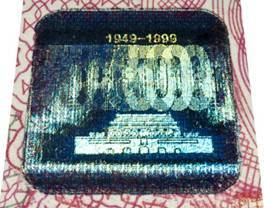 The magnetic ink may be used on security threads, fibers, for printing serial numbers, texts and images. (fig. 1). c – security thread. 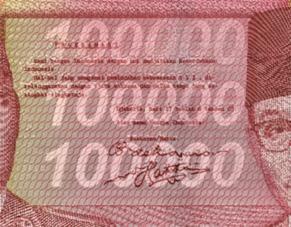 2 000 Chilean Pesos (2009). ; d – bar-code. 20 East Caribbean Dollars (1993). 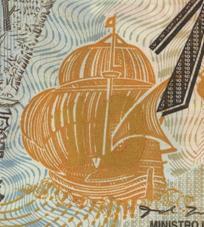 An image on the banknote with a distinctive metallic glitter (not printed by an ink). Glitter intensity changes when changing the angle of view. It may also have additional security features (e.g. microtext) (fig. 1). 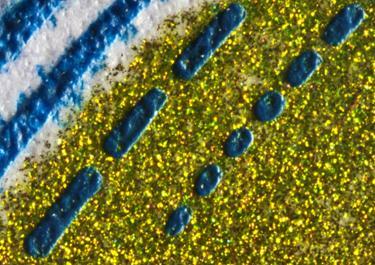 An ink containing pigments with a high index of refraction which reflect incident light and produce metallic sheen. 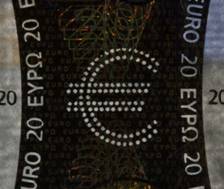 It was developed by Innovia Security company for banknotes on the Guardian polymer substrate. As a rule, the Metalix ink is used to produce spot printed image elements. 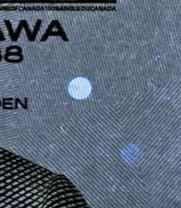 Metallic effect is viewed in reflected light on both sides of the banknote provided that the observation and illumination angles relative to the perpendicular are equal. Unlike the GOLDswitch element, Metalix color range includes red, gold, copper, silver, blue, green, violet and salmon. An ink containing metallic pigments of bronze and aluminum. 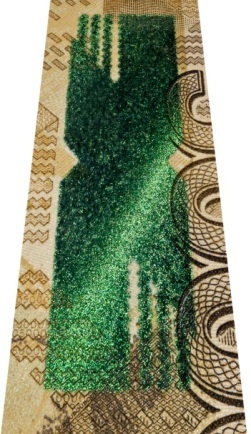 It has a specific metallic glitter. 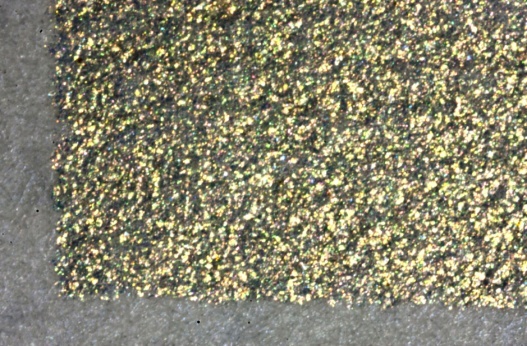 Unlike optically variable ink, when changing the angle of view, while looking at the image applied by metallic ink, glitter intensity changes only. The colour does not change (fig. 1). 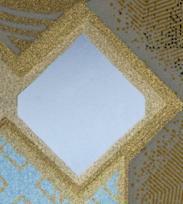 A metallic pigment that is made up as an ink and is printed on top of the polymer substrate as a patch. It has a metallic glitter. When changing the angle of view, glitter intensity changes, but not the colour (fig. 1). 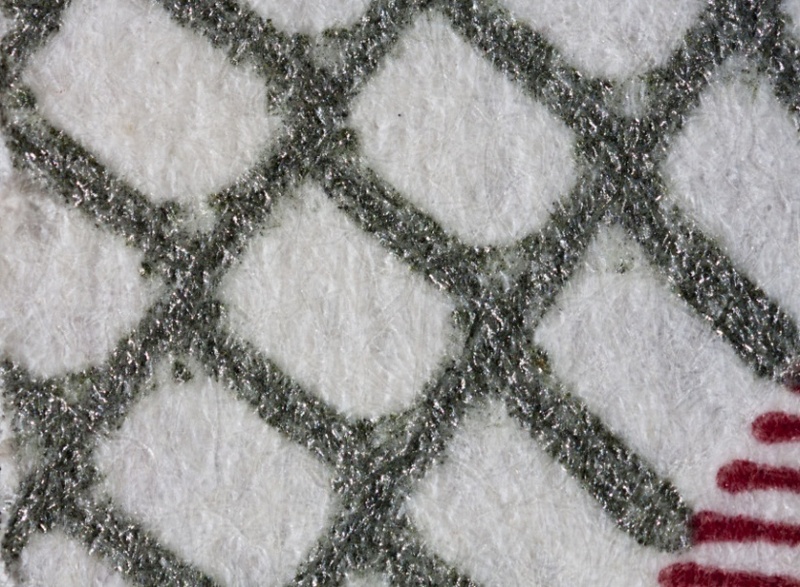 This patch may then be used as a platform for other security features such as intaglio contrast effect (ICE) and transparent intaglio disappearing effect (TIED). Similar to metallic ink on the paper substrate. 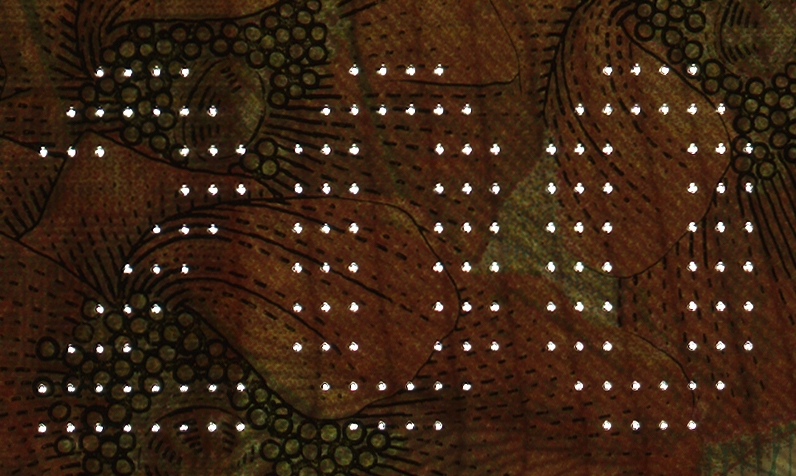 A security feature, consisting of micro holes made by laser and forming an image seen in transmitted light (the holes look like bright spots) (fig. 1). 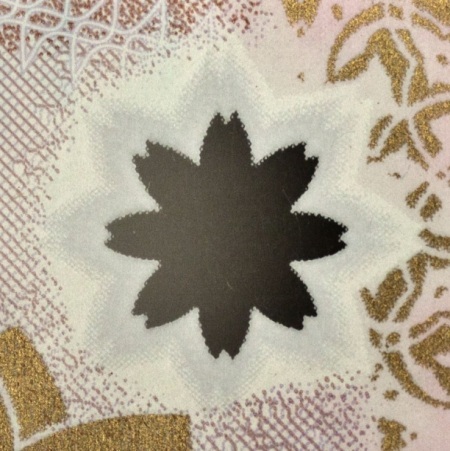 The area of the banknote with the holes does not feel rough to the touch. 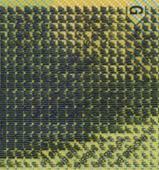 A printed image (usually repeated words, numbers of texts) 0,15–0,3 mm high. It is visible only with magnifying devices; can be perceived with the naked eye as a thin continuous line. reversed (turned out) microprinting changes gradually from negative to positive and vise versa. (fig. 1, c). An effect of rainbow image appearance. 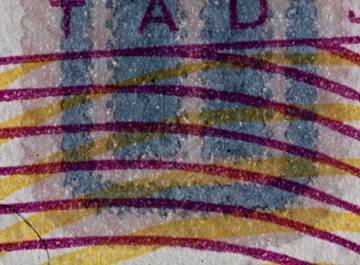 Differently colored parallel lines are printed by offset before blind embossing. If viewed directly at right angles, the element looks monophonic (fig. 1, a). 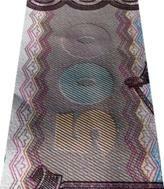 If the banknote is tilted, rainbow stripes appear (fig. 1, b). MVC+ is an improved version of MVC. It contains two zones, if viewed directly at right angles. The rainbow can be seen in one zone, and one-colour background in the other (fig. 2, a). But if it is viewed at a sharp angle, the rainbow stripes appear in the space of the background and perfect registration among rainbow stripes in both zones can be seen (fig. 2, b). When MVC+ is viewed under UV light, the upper part of the area has one-coloured luminescence. 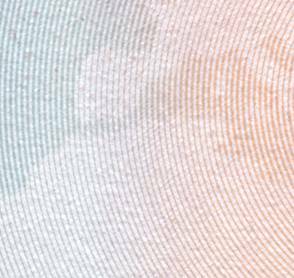 When the banknote is tilted, luminescent different-colour stripes appear in the upper part of the area as a continuation of constantly visible stripes in the lower part. 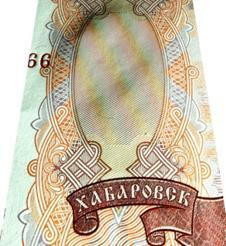 5 000 Russian Rubles (1997). 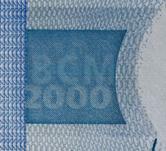 1 000 Russian Rubles (1997). Modification 2010. A printing technique, which employs a plate with printing and spacing elements in the same plane. The inked image is transferred (or "offset") from the plate to a rubber blanket, then to the printing surface. Traditional offset is based on the repulsion of oil and water, the image to be printed obtains ink from ink rollers, while the non-printing area attracts water, keeping the non-printing areas ink-free. The plates are dampened with water which adheres to the areas without images. The ink is added next, one color at a time, where it sticks to the areas with images. the paper fibers can be seen through the strokes (fig. 1, b). High offset is a method which combines letterpress and offset. 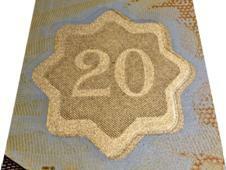 The image is transferred to a rubber blanket from a plate with the printing elements raised above spacing elements. Printing pressure is lower than that in letterpress, and the plate does not contact the substrate, so there is no relief. The prints obtained by this method are characterized by more distinct boundaries than offset prints. 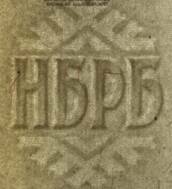 Relief printing elements on a printed plate lead to the same boundary effects, as in letterpress, but it appears to a lesser extent. An image consisting of rings of the same diameter (about 1 mm) printed by offset. They form a certain structure composed of five Omron rings, one of which is the Eurion constellation. 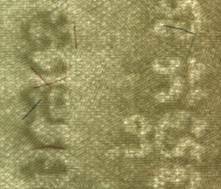 The rings are geometrical marks used for copy protection (fig. 1). 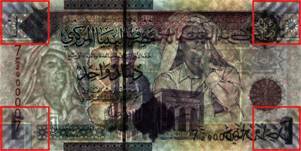 An area in the form of a window one side of which is opacified on the front or reverse side of the banknote. 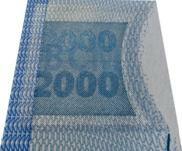 On paper or hybrid substrate banknotes, it is made using a transparent film. One-sided window Viewsafe can be round shaped or any other complex shape. 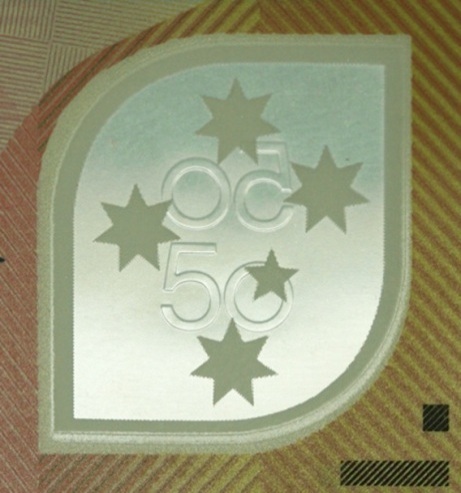 A double-sided holographic image, located in the clear window of the polymer banknote. The element is being formed during the manufacturing process of the polymer substrate. The changing effect of the image colours appears when looking at the image at different angles of view (fig. 1). 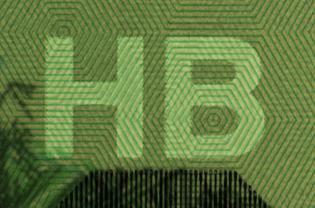 a – front side of the banknote; b, c – view at different angles of illumination and observation. An optically variable security element with a multiple colour switching effect. It was developed by Innovia Security company as a further development of the G-Switch® element. It is applied during the formation of the Guardian substrate on one of its inner layers in the form of an image (picture or alphanumeric characters). A pair of image elements that work in combination appear as one colour at certain observation conditions, then a totally different colour at other observation conditions. Ink pigments which are semi-transparent in transmitted light have a pearlescent sheen in reflected light. 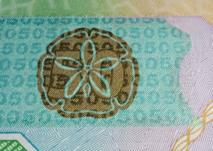 The effect of a colour switch is observed both on front and reverse side of the banknote if the element is located on a clear window. A pair of images which change their colour depending on illumination type. 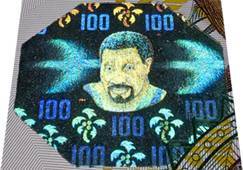 The element is printed on polymer substrate with iridescent ink containing liquid crystals. The colour of the images does not change in reflected light at different angles of illumination and observation. The colour shifting effect in the two images is observed in transmitted light: their colours are reversed. a — view in reflected light under front illumination: blue colour of the number "50" and yellow colour of the symbols "RS"; b — view in transmitted light: yellow colour of the number "50" and blue colour of the symbols "RS"
An ink, containing optically variable pigments which change colour depending on the angle of light incidence and view. Applied by intaglio or screen printing. It is important for colours to be contrasting and well distinguishable (fig. 1). The result provide colour change effect when tilted, that is enhanced by a latent image produced by embossing which is not visible without tilting (fig. 1). 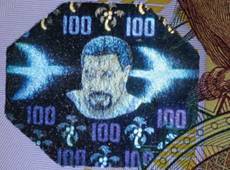 The element may also comprise of an iridescent ink patch, which provides an additional pearlescent sheen when the banknote is tilted (fig. 2). A semi-transparent optically variable ink containing liquid crystal pigments with polarizing properties. When viewed from different angles in white light the image usually printed by offset and covered with the ink changes colour (fig. 1). The polarizing properties are checked through a special polarizing filter consisting of two windows – the colour of the image differs (fig. 1). A multi-level (visual and machine readable) security feature. The visual effects are based on the magnetic properties of an optically variable magnetic ink. The ink contains a special magnetic pigment located with the help of magnetic fields within the ink layer. 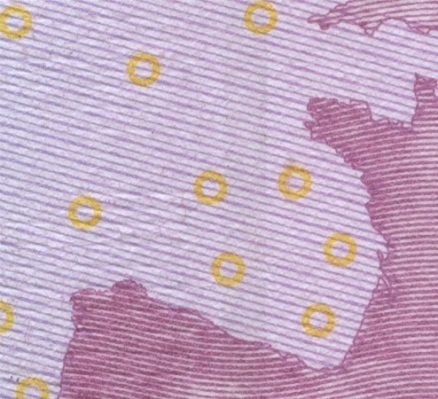 When the banknote is tilted, there is a combination of the colour changing effect and (unlike optically variable ink) the dynamic effect of the ink movement (bright parts of the image “change” places). Usually printed by screen printing (fig. 1). Fig. 1. Optically variable magnetic ink. 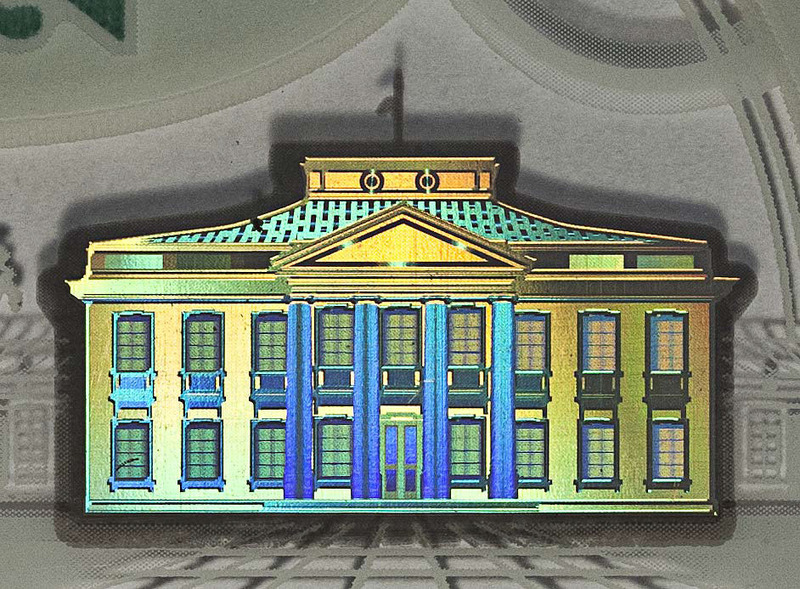 The result provide holographic effect when tilted, that is enhanced by a latent image produced by embossing which is not visible without tilting (fig. 1). a transparent polymer strip with metallized coating covering the hole on the front or back side (fig. 1). 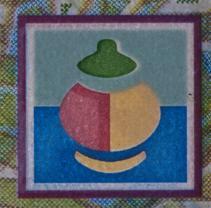 the colours are transferred to the banknote substrate in one rotation. The print is characterized by perfect registration of colours without breaking and shifting (fig. 1). Thin round or polyhedral pieces 1–4 mm in size made of polymer (paper) (fig. 1, a, fig. 2). They are incorporated in the paper during the manufacturing process or pressed to its surface layer. They are distributed randomly or as a strip in a certain place of the banknote. 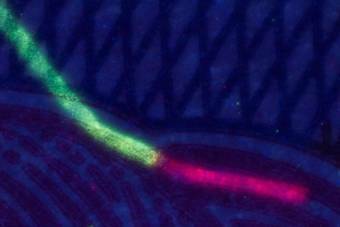 Planchettes can be coloured and luminescent under UV light (fig. 1, b). Moreover, planchettes with high reflection power (“blinking”, “anti-copy”) prevent image formation by copiers (fig. 2). Fig. 2. Hexahedron Planchettes with iridescent coating. A security feature based on the phenomenon of light polarization. 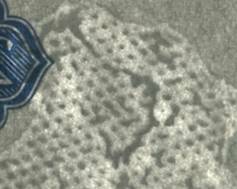 It is a liquid crystal coating, which reveals polarizing properties, when viewed through a polarization filter (an image may appear or disappear) (fig. 1). 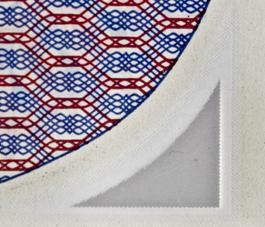 A printing technique, in which two or more inks are applied on one printing plate. During the printing process, the inks are mixed, which results in the formation of intervening tints with smooth colour transitions among the main colours of the image, avoiding breaks and displacements (fig. 1). A printing technique, which enables to obtain an image by pushing the ink through the printing plate. The printing form is a frame with a stretched silk or nylon gauze on it. The image is transferred to the gauze by means of a photographic process. 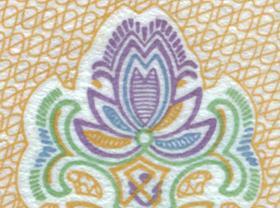 A wiping blade, called a squeegee, pushes the thick ink through the gauze and creates a printed image. The spacing elements are covered with a layer, which does not let the ink. The printing elements are open (fig. 1). 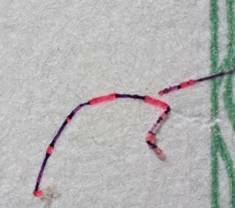 Fine coloured or colourless fibres located randomly in the paper substrate or on its surface. Fibres are incorporated into the paper during its manufacturing process and are distributed among other fibres of the paper pulp. invisible (transparent) security fibres which luminesce under UV, IR and other lights and may have magnetic properties (fig. 2). Fig. 1. Visible under white reflected light. Fig. 2. Invisible under white light. Luminescence under UV light (365 nm). security fibres with alternate areas of different colours. security fibres with variable cross-section of the profile (fig. 3). Fig. 3. Security Fibers with variable cross-section. Zoomed image. A narrow strip on the polymer basis incorporated into the paper substrate during the manufacturing process of the paper. figured security thread appears partially on the paper surface as a figured window and as a solid strip when viewed against light (fig. 3). with the kinetic effect “Mobile”: when changing the angle of view, certain images shift relative to each other (fig. 11). Fig. 10. Optically variable effect “Chameleon”. Fig. 11. Kinetic effect “Mobile”. 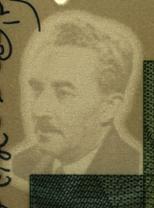 An image in the form of a narrow dark or light semi-transparent strip printed on the surface of the polymer substrate. It may contain microprinting, special inks with magnetic properties and other security features (fig. 12, fig. 13). 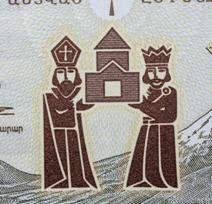 An image, a part of which is printed on one side of a banknote and the other part on the other side of a banknote. 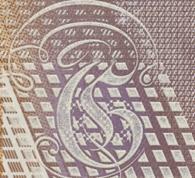 When the banknote is viewed against light, both parts match up and create a complete image. This can only be carried out on a simultaneous press and cannot be done on printing equipment used in usual polygraphy. The image should not have any gaps or shifts and can only be seen in transmitted light (fig. 1, a–c). 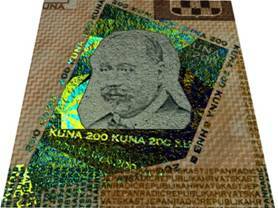 A clear window with a filter (coating) which can visualize latent images or texts located on the same banknote. 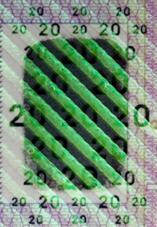 When bending the notes, the filter is placed over the area containing such an image (fig. 1, c), which changes colour and becomes visible (fig. 1, b). 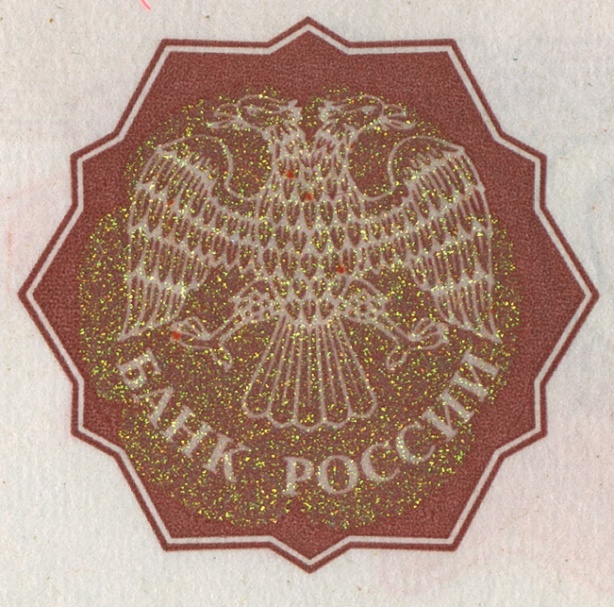 The unique combination of letters and (or) numbers, which is assigned to each banknote. It is usually printed by letterpress. 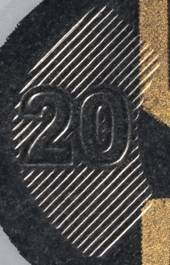 UV, Infrared, and magnetic inks can be used to print serial numbers. Information about a year of issue and series, an issuing bank, a factory, a face value, etc. may be encoded in serial numbers (fig. 1). A tonal image seen in transmitted light; produced by altering the opacity or the colour of a polymer substrate layer. 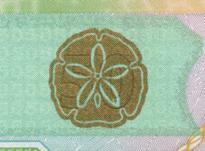 The element is similar to a watermark in the cotton-paper banknote. 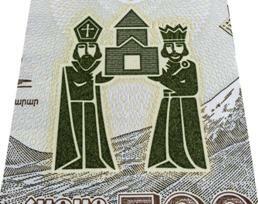 strip is shadow images located one above another in a particular area of a banknote (fig. 1, b). multi-tone (half-atone) – an image with gradual transitions between darker and lighter areas (fig. 2, c). 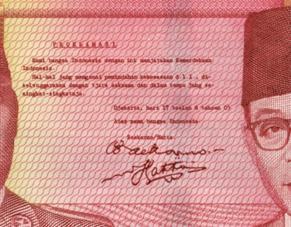 Substrate is a special material used to produce banknotes. 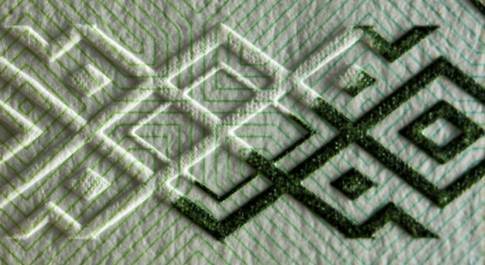 Paper substrate is a thin material consisting of plant fibers (cotton, linen etc.). Polymer substrate is a thin (approximately 0.1 mm) clear plastic film covered with multiple layers of specialized coatings. 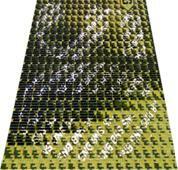 Hybrid substrate is a material consisting of paper and polymer layers. An ink which changes its colour or optical density, when the image is exposed to heat. The images may change colour, become visualized or decolourized. Usually reversible thermal inks are used, which return the initial colour after heat exposure (fig. 1). 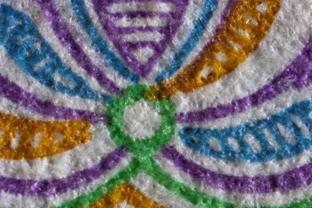 Small coloured or colourless particles embedded in the paper during the manufacturing process. The particles glow when exposed to UV light (fig. 1). Ink containing fluorescent substances (pigments) which glows when exposed to UV light (wavelength is usually of 365 nm and 254 nm). The pigments are not visible under normal daylight, only under UV light. The same pigment may have different sensitivity to UV radiation of different spectral ranges. 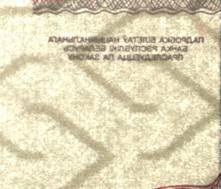 The ink may be used for printing certain graphic elements and general patterns of the banknotes. 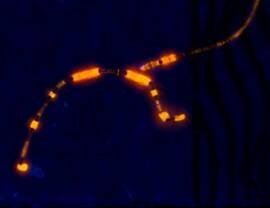 Security fibers, planchettes, security threads, serial numbers can also fluoresce under UV light (fig. 1). 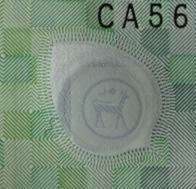 A hole in the paper covered by a transparent film (with liquid-crystal or other coatings) from one side of a banknote. 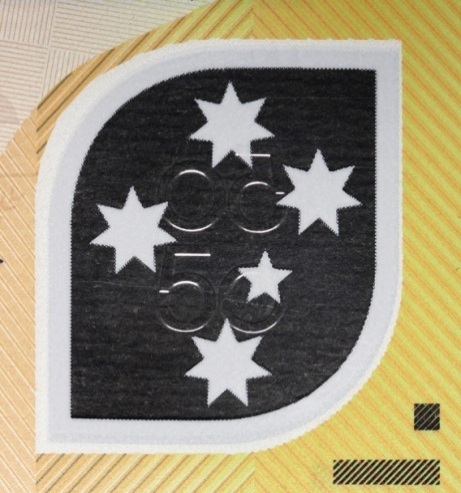 Design features within the Varifeye change in contrast as a banknote is moved over a black or white background. There may also be a kinetic affect. The feature is produced during the manufacturing process of the paper substrate and has fibers forming a kind of fringe along the perimeter of the hole (fig. 1). A security feature consisting of two varnishes: matt and glossy. 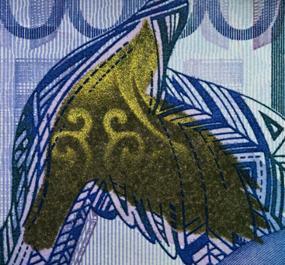 Images (texts) are printed by glossy varnish over matt varnish and are visualized, when the banknote is tilted due to the contrast of the varnishes. (fig. 1, b). 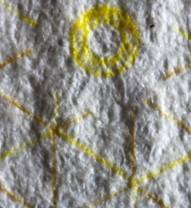 An image visible in transmitted light only, incorporated into the paper during its manufacturing process. A watermark has slightly diffused blurred contours and gradual transitions of the tones. It is formed by the density of the fibres on certain areas of the image. 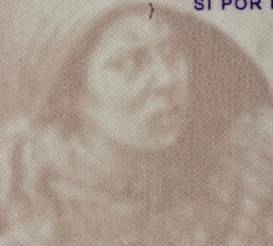 Thus, darker elements of the watermark are located on more dense areas of the paper, and lighter elements are located on less dense areas. The watermark does not appear under UV light. 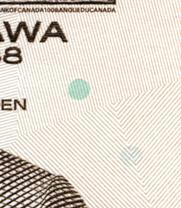 Cornerstone watermark consists of several parallel diagonal lines located in the banknote corners (designed to physically strengthen the corners (and edges) of banknotes) (fig. 4). 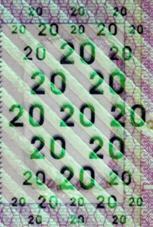 Coded watermark consists of dark and light vertical strips located on the printed area of the banknote (is used as a machine-readable feature) (fig. 11). Fig. 10. Combined (halftone and highlight). 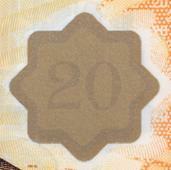 An image (usually a banknote denomination) which appears in the transparent window produced by colourless embossing. It can be seen both under reflected and transmitted light. The element combines tactile and visual characteristics. (fig. 1, a). 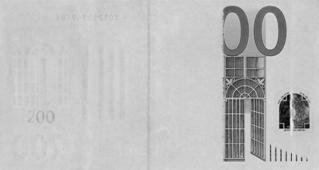 A vignette design feature placed in the transparent window that adds both aesthetic and security dimensions to the banknote. The opacity of the window is adjusted to achieve distinctive designs. This feature is printed by gravure printing on the polymer substrate (fig. 1). It can be combined with a half window and a shadow image.